South Florida's favorite bboy/emcee/dj/producer extraordinaire is back with a new mix that bridges the gaps between dubstep and drumnbass. George Young, resident of the infamous Black Sheep Bar on South Beach, resident of Ft Lauderdale's monthly drumnbass party Digital:Insight and CEO of Digital Felon Recordings presents us with 51 minutes of bass music pleasure. 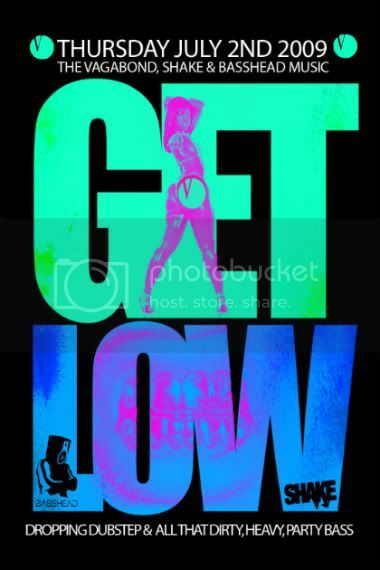 GET LOW(er) at (((SHAKE))) July 2nd! It's that time again! 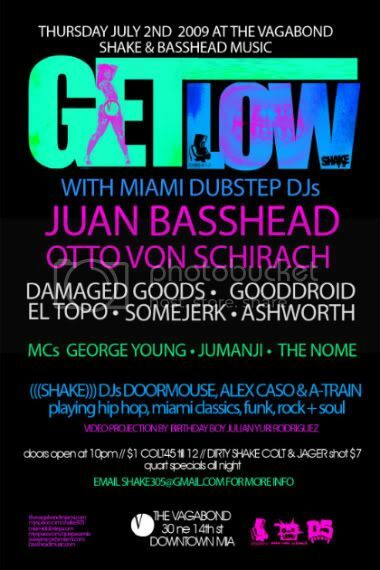 (((SHAKE)))'s monthly Dubstep/Party Bass get-down is back in full effect July 2nd at The Vagabond. The first one was seriously out of hand! Our special guest Atlanta's DJ Lord brought the Trillbass and sick turntable magics while our local favorites Juan Basshead, Otto von Schirach + Ashworth put on one hell of a show. The Vagabond's killer sound system had people breaking it down on the dancefloor, stripper poles and any other surface they could get their hands and feet on. Miami Dubstep shirts everywhere. It was massive! Thursday, July 2nd is our big local showcase with Juan Basshead, Otto von Schirach, Damaged Goods, Somejerk, Ashworth, Gooddroid + El Topo and MCs George Young, Jumanji + The Nome. Plus our resident (((SHAKE))) DJs in the other room and we're celebrating our boy Julian Yuri Rodriguez' Birthday so it's gonna go off! Get your dancing shoes ready. KODE9 & SPACEAPE coming to Miami in July! If you haven't heard about this exciting show, now you know. Scion has been doing free shows around town for the last couple years, with the last one being the Trouble & Bass record release party last Sunday. Which I got to way late, but heard it went off! 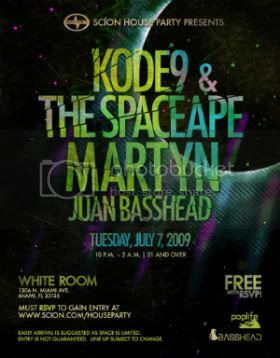 On Tuesday, July 7th Miami Dubstep hero Juan Basshead joins Martyn and Hyperdub's Kode9 & The Spaceape at the White Room. This is gonna be BIG. Don't miss it. Sign up for this free ish here. Tha Substitutes present Stank Love II - a night of drumnbass, dubstep and all around bass love. Once again Black Sheep Bar and Basshead Music bring you another standard raising music event in Miami bass music history - the legendary Andy C with your favorite locals. Dubstep mix from South Florida based DJ somejerk.